There’ll definitely be no shortage of lovely ladies on the big screen this coming December 25th. 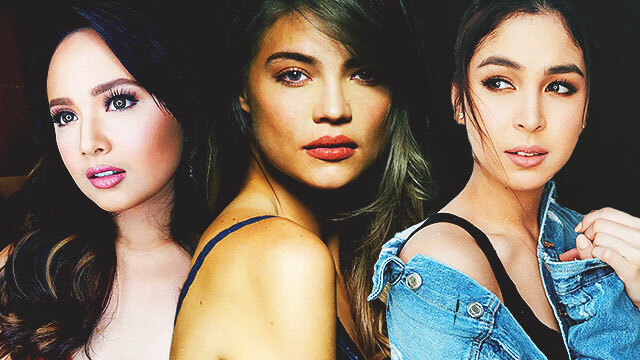 Aside from the exciting stories that will be shown in this year’s Metro Manila Film Festival, beautiful, talented actresses will also be there to keep your eyes glued to the screen. In case you need another cheat sheet to help you with your MMFF binge-watching this Saturday, let these 5 brilliant artists from these film entries guide your viewing experience. The 22-year-old daughter of Janice de Belen and John Estrada stars alongside Paolo Ballesteros in this much talked about drama. This Barretto beauty plays the lead role of Kath in this movie adaptation of the viral Vince and Kath online series. Philippine cinema's indie princess and December 2007 FHM Girlfriend of the Month plays Joem Bascom’s wife, Linda. The sultry indie actress and The Amazing Race Philippines Season 2 winner plays the devil's sidekick, a twisted nun named Cecilia. The July 2016 FHM cover girl is the cool gadget inventor Sally. She is also Enzo Marcos’ best friend and love interest in this semi-animated romance.